Couples, families, groups, coach parties, schools and corporate entertainment all welcome. Booking is not possible in advance due to weather variations, but availability is always good during the week. Please ring the punt office for advice on punt availability. 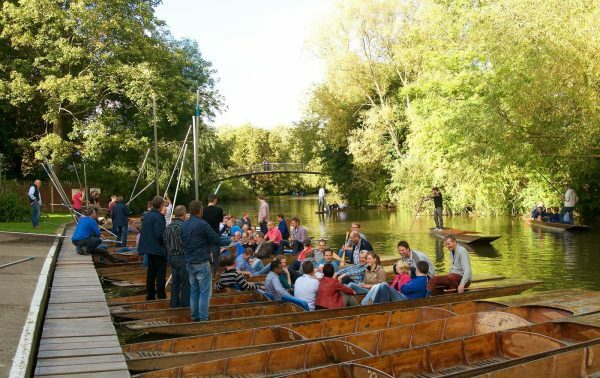 At weekends, punts are allocated on a first-come-first-served basis. We open at 10am and queues can start around midday. At this point we give out numbers and when your number is called you will be allocated a punt. 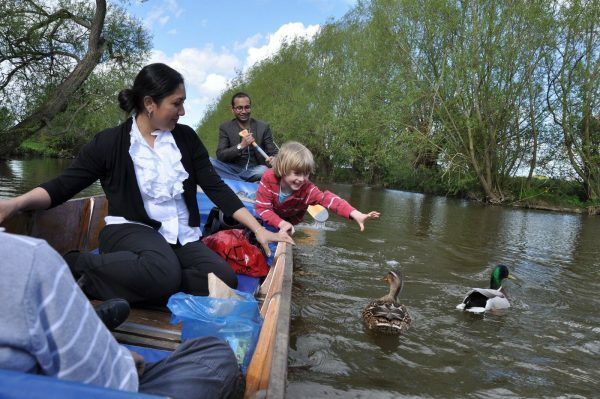 If waiting, you can sit by the river and enjoy refreshments from the Cherwell Boathouse Tea hut. Chauffeured punts are available with two weeks’ prior notice. Once we run out we operate a queue much like a supermarket deli counter whereby we give out numbers and call out numbers as and when boats become available. We have a nice lawn and benches where you can make yourself comfortable. There is a Tea Hut which sells hot & cold drinks, ice creams and light snacks. Rarely do people have to wait over an hour and that time passes quickly as you watch others master the art of punting. One person can queue on behalf of a party as long as they are equipped to hire the punt/s when their number is called.